EOC President Janez Kocijančič and Secretary General Raffaele Pagnozzi met with newly elected President of the Russian Olympic Committee (ROC) Stanislav Pozdnyakov and NOC Deputy Director Rodion Plitukhin in Ljubljana on 8 August. Kocijancic invited the Russian delegation to his hometown to discuss relevant issues at the core of the sport movement in Europe. The meeting concluded with an exchange of gifts. 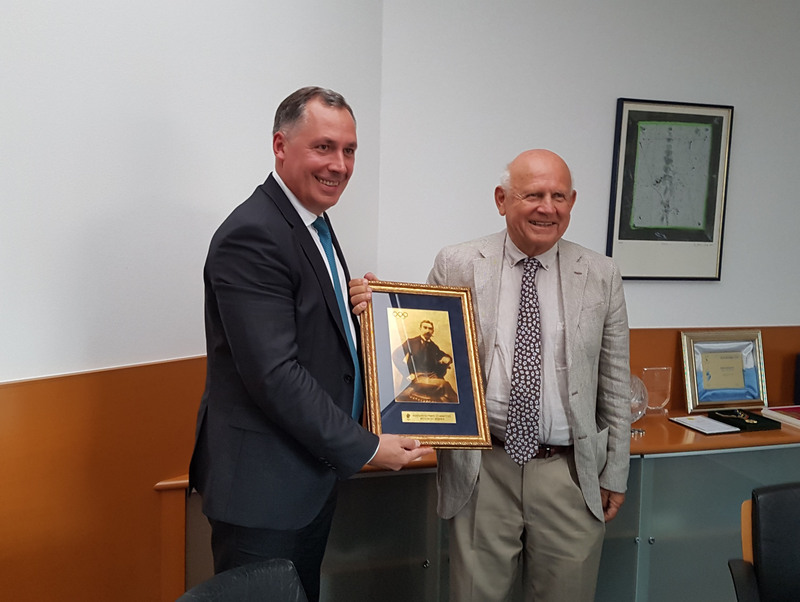 The ROC President honoured the EOC President with a nice portray of pioneer of Olympic Movement Pierre de Coubertin.